Grilled button mushrooms, sunflower oil, red hot chili, garlic, herbs, salt. Hot and spicy. 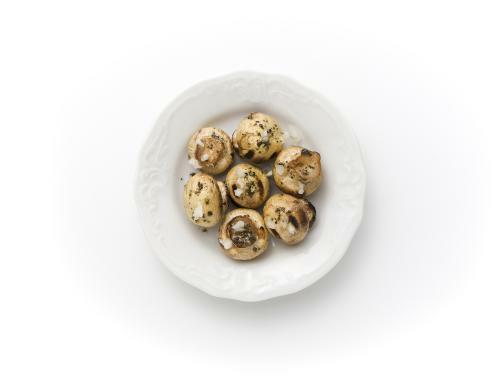 Typical of grilled mushrooms. Beige with grilling marks on the mushrooms and reddish garnish.